We understand the importance of having trusting, caring relationships with our parents and patients. After all, dental care begins with the first tooth and continues through childhood and into the teen years. 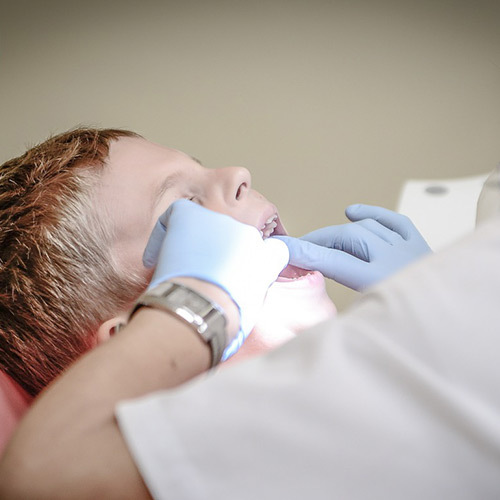 At Amarillo Pediatric Dentistry & Orthodontics, your child’s care comes first. We are proud to offer you a team of dentists who are certified specialists in all areas of pediatric dentistry. Our doctors provide high quality specialized dental care while our team of patient ambassadors provide a fun, informative, and enjoyable experience for all of our guests. We want every child to leave our office with a happy, healthy smile. And, we want parents involved every step of the way. My name is Dr. Shane Moore D.D.S. I graduated from the University of Texas Health Science Center at San Antonio with my Doctorate in Dental Surgery. I completed my Pediatric Specialist Residency at the University of Tennessee Dental School and St. Jude’s Children’s Hospital in Memphis, Tennessee. I have three children, Preston, Emily and John. I like to coach my son’s basketball team and participate in the children’s puppet ministry at my church. My wife Nicole and I are excited and proud to be apart of this wonderful community. My favorite color is green. If I were a cartoon character I would be Perry the Platypus from Phineas and Ferb because he always has a plan. My name is Duane Tinkler D.D.S.. I was born in Galveston, TX. and grew up in El Paso, TX. I graduated from the University of Texas, El Paso and started Dental School in 1967. After graduation from Baylor Dental College in 1971, I served in the U.S. Army Dental Corps. for two years. Taking care of children became my focus, and I returned to Baylor Dental College and children’s Medical Center Dallas for specialty training in Pediatric Dentistry and have limited my practice to children since 1978. I am married and have three children and five grandchildren. My wife and I enjoy family, bicycling, and backpacking. My eyes are blue, my favorite color! Donald Duck is my favorite cartoon character because he is crazy and whacky! My name is Dr. Eric DeVries D.M.D. M.S. I was born in Grand Rapids, MI and raised in Chattanooga, TN, but I am so happy to have found Amarillo. I attended dental school at the University of Alabama at Birmingham. I completed my residency at the University of Michigan where I also spent several years teaching and was awarded Teacher of the Year. I am a Board Certified Diplomate of the American Board of Pediatric Dentistry. My beautiful wife, Andrea and I have been in Amarillo for 3 years. We have two dogs, Maze and Blue, and two horses, Lizzie and Bacon (she’s from the Frying Pan Ranch). My favorite color is green and my favorite cartoon characters are Scooby Doo and Frozone from the Incredibles. My name is Dr. Yunyan Shen, D.D.S., M.S. ; I usually go by Dr. Tracy Shen. I was born and raised in China. After flying half the world and coming to the U.S., I studied dentistry at Columbia University. I then continued pursuing the specialty in orthodontics at Columbia while I taught clinical dentistry there part-time. I am a Diplomate of American Board of Orthodontics. I am married with two kids, Victor and Annie. My husband and I love to travel, watch movies, and ride bikes. Donald Duck is my family’s all time favorite cartoon character. We understand the importance of having trusting, caring relationships with our parents and patients. After all, dental care begins with the first tooth and continues through childhood and into the teen years.